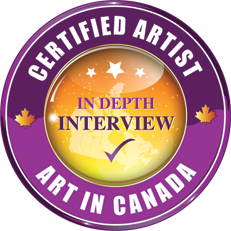 Alberta Artist Dee Poisson creates incredibly detailed coloured pencil drawings. 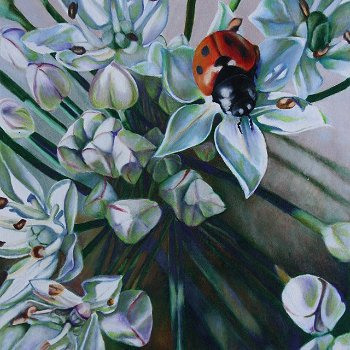 Her artwork consists of wildflowers, birds, floral art. Canadian nature art at it's finest! "Through my work over the past 20 years, I have strived to share little things and places that people rush by every day without seeming to notice. The contemplative process of colored pencil is a contradiction to the speed of contemporary society and lends itself so well to the details of the subjects that I choose. There are other mediums in my life yet none match the relevance of colored pencil for me. My work shows the beauty of inconsequence. I endeavor to bring life to the ordinary so that it can be appreciated. I have learned to see and its exciting that there is so much more to enjoy in our surroundings when we are not in a hurry. Some of my work seeks to find humour in an ordinary day. Other work appreciates the fold of a leaf, the plump of a berry or a life moment of a bug. All of these things require moments of stillness for me which are a conscious effort in my own busy day. 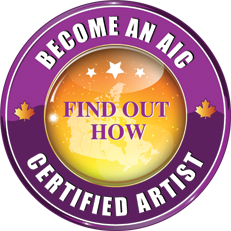 AFCA is an accreditation that I have earned through the Board of Governors at the Federation Of Canadian Artists in 2016."